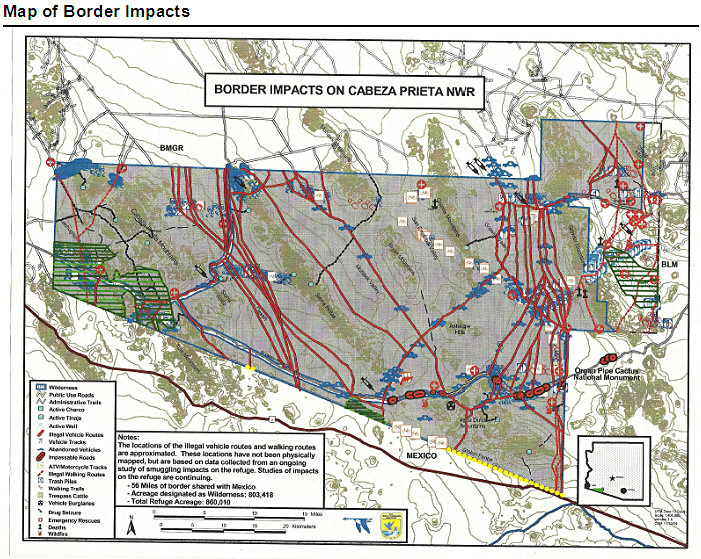 TUCSON, Ariz.— A decision announced today allowing off-road vehicles to operate on historic roads in southern Arizona’s Cabeza Prieta National Wildlife Refuge jeopardizes sensitive wildlife habitat and places additional stress on the critically endangered Sonoran pronghorn. The wildlife refuge is the largest in the lower 48 states and home to the historic road, El Camino del Diablo. More than 90 percent of the refuge is also a federally designated wilderness area. Today’s decision runs counter to the stated goal of the refuge to put wildlife first and manage for the conservation of fish, wildlife and plants. Sonoran desert tortoise, bighorn sheep and lesser long-nosed bats also call the refuge home. 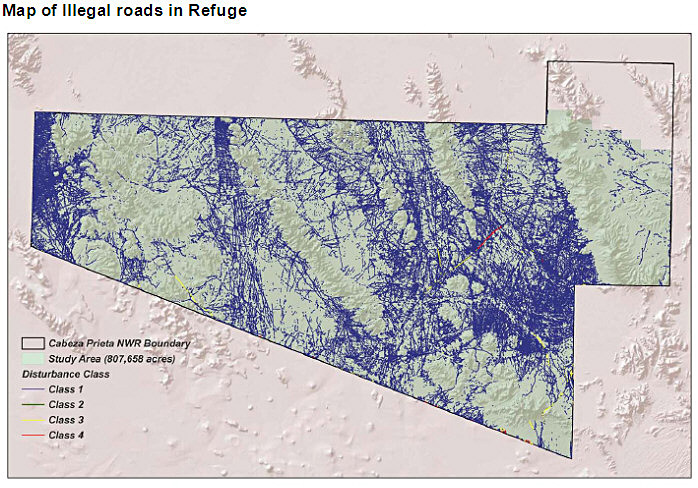 The refuge’s wilderness area was set aside by Congress in 1990 via the Arizona Wilderness Act, and vehicle traffic is supposed to be restricted to the El Camino del Diablo and two other roads near the western side of the refuge. However, a recent analysis released by the U.S. Fish and Wildlife Service, the managers of the refuge, revealed that there are least 8,000 miles of illegally created off-road vehicle tracks in the refuge. Issuing permits for ORV use on the refuge will undoubtedly result in more damage to the refuge’s natural resources because ORVs are specifically designed to travel off-route and most ORV users admit driving off-route whether it is legal or not. The refuge is already hard hit by the border wall, Border Patrol enforcement activities and other border related traffic. The Center has obtained documents through the Freedom of Information Act that reveal the refuge has been issuing permits to ORV users, some of which do not appear to be licensed as street legal vehicles. The Center also requested a copy of a compatibility study for allowing ORVs to use the refuge, but the refuge management was unable to locate any such documents. Click on maps for high resolution versions.